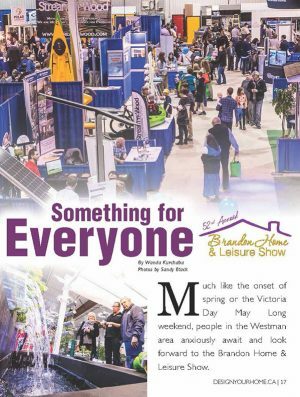 Much like the onset of spring or the Victoria Day May Long weekend, people in the Westman area anxiously await and look forward to the Brandon Home & Leisure Show. In its 52nd year, this year’s event will be without a doubt another crowd pleaser! As trends change, technology develops and processes evolve the Brandon Home & Leisure Show (BH&L Show) allows visitors to expand their knowledge with the latest and greatest all under one roof. “As with each and every year, we have lots to offer with new and returning exhibitors. We look forward to welcoming in over 11,000 visitors to see what’s new, improved, popular and trending,” said Dave Melcosky, Manager of the BH&L Show. More and more conversations around the dinner table and in the coffee shops as of late as are centred on solar energy. Solar panels are becoming a common sight in rural Manitoba, as well as in our urban centres. How can you make solar energy work for you and your family? Visit exhibitors at the BH&LS to get up to speed on the savings and the benefits to our environment. 52 – 11,000 – 150 – 100,000. These are just some of the numbers that define all that there is to see and do at the BH&L Show. 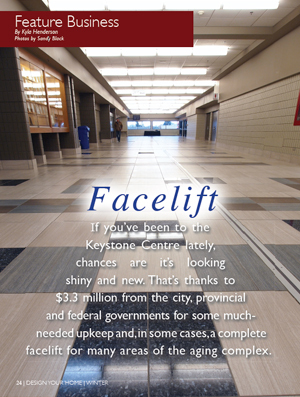 It’s our 52nd anniversary year and we can’t wait to welcome over 11,000 of our closest friends to the Keystone Centre where they’ll find over 150 exhibitors making use of 100,000 square feet. Is there a lot to see? You bet! Is there a lot to learn? You bet! Are there deals to be made? You BET! Cracks in the windows? Paint peeling? Driveway woes? Keeping the exterior of your home maintained is just as important as taking good care of the inside. 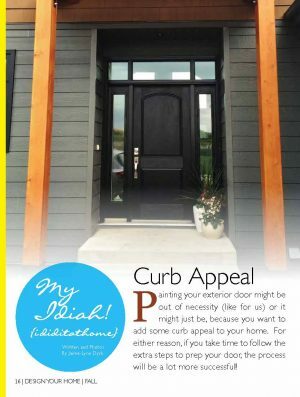 Whether you are a do-it-yourselfer or if you’re looking for qualified professionals to help you spruce up the exterior of your home, then you must stop by the BH&L Show to visit one of the many exhibitors who can help guide you in the right direction on improving your curb appeal. We guarantee that your neighbours will thank you. Small home living may have started as a trend, but it is now becoming more and more common. Many people are looking at living a simple, clutter-free life while taking up only a small footprint. We’ve seen the shows on television and we’re starting to see more and more people in the Westman region interested in and taking advantage of the benefits of small home living. Discover more at the 2018 BH&L Show. Are you dizzy from looking at the psychedelic linoleum from the 1970s on your kitchen floor? Are you looking forward to ditching the floor to ceiling drapes? Making small improvements to your home is possible and within your reach. 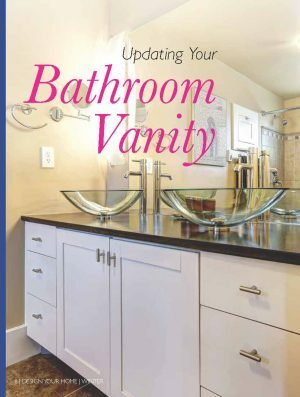 At the BH&L Show, you can get ideas on new cabinets for the kitchen at home or at the cabin, how to renovate your bathroom, see the latest in window coverings or see the latest flooring samples. Take on a small DIY painting project with professional advice or find a professional to take on the job for you. Building a new home or cottage is exciting, but it can also be a little scary. The first step is often choosing the design or plan that is right for you and your family. Thankfully there are a lot of people that are able to help narrow down the choices that not only suit your lifestyle but your location as well. Having your plans computer generated with three-dimensional software can help to take the guesswork out of what your future home or cottage will look like. Look for exhibitors at this year’s show that can set you on the right path in choosing the plan of your dreams. Our backyards are often seen as an extension of our indoor living space, especially throughout the summer months in Manitoba. If you’re looking for ideas on how to make the most out of your backyard, then you must visit the BH&L Show! Maybe you’re looking to add a sunroom, put in a swimming pool, build a backyard fireplace, add a relaxing hot tub, buy a new grill or turn a basic backyard into an oasis with a great landscaping plan? If so, you’ll find lots of great folks at the BH&L Show to make it all happen! You’ve heard the old saying – Work Hard Play Hard! Well, we at the BH&L Show like to say, Play Harder! Come check out the newest in all-terrain vehicles, water-crafts, cars and trucks to get you on your way to enjoying a summer of a lifetime. The BH&L Show is always pleased to welcome retailers with the latest products that help you to keep your home clean, improve the time you spend in the kitchen, help you to relax and everything in between. We also have exhibitors ready to serve up tasty treats…Mmmmm, can you say mini donuts? Don’t forget that there are also great prizes to be won. Your admission fee gets you an entry into a draw to win thousands of dollars worth of prizes. Who knows, it could be your lucky weekend! The 2018 Brandon Home & Leisure Show takes place April 6-8. 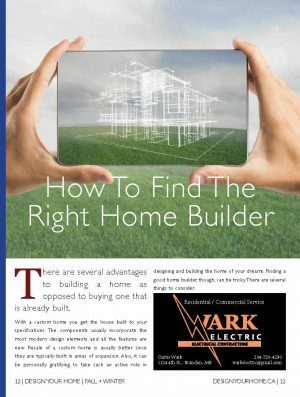 For more information, visit: www.brandonhomeshow.ca.